BELFAST residents have been invited to an information session to make their views known on the development of the city over the next 20 years. The question that Belfast City Council is asking residents is, how do you want to see your city grow? As a result the Council has launched a plan for the development of the city up until 2035. It’s Belfast City Council’s first step in creating the Local Development Plan (LDP) which will guide investment and set out a framework for the use and protection of land across the city. Once adopted, the LDP will be used to guide and improve decision making on planning applications. By complementing the Belfast Agenda, the city’s first community plan which outlines priority actions and programmes to ensure Belfast’s success, the LDP will help determine where development and infrastructure proposals will be located and which areas will be protected. 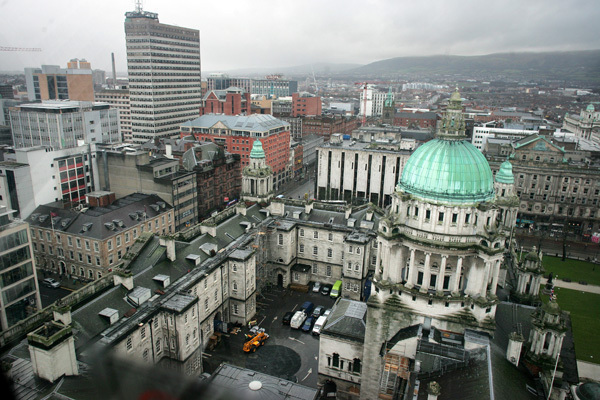 Councillor Peter Johnston, Chair of Belfast City Council’s Planning Committee, said: “It’s absolutely critical that we plan for and stimulate Belfast’s growth. “We want to identify enough space to support the creation of up to 46,000 new jobs, allocate land for 37,000 high quality new homes and increase Belfast’s population to over 400,000 by 2035. The LDP’s vision is to promote development which enhances communities’ health and wellbeing, creates a more vibrant economy, improves connectivity, responds to environmental challenges and both protects and makes it easier for us to enjoy our natural settings and green space. It also seeks to ensure that we pursue high quality design in new developments, protect and enhance our built heritage, promote vibrant local neighbourhoods and make the most of our city’s unique assets. February 2, 6.30pm to 8.30pm, Olympia, Boucher Road. February 9, 6.30pm to 8.30pm, Skainos Centre, 241 Newtownards Road. February 13, 2pm to 4pm, Innovation Factory, Forthriver Business Park, Springfield Road.